After you hit the “Give” button you will be taken to our PayPal payment page. 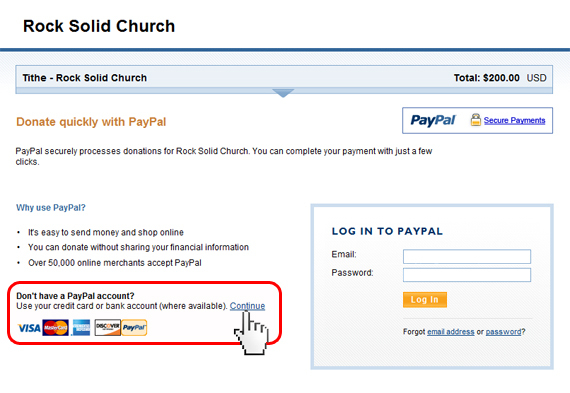 If you don’t have a PayPal account, click the “Continue” link as shown below. Click here to go back to the Online Giving page.